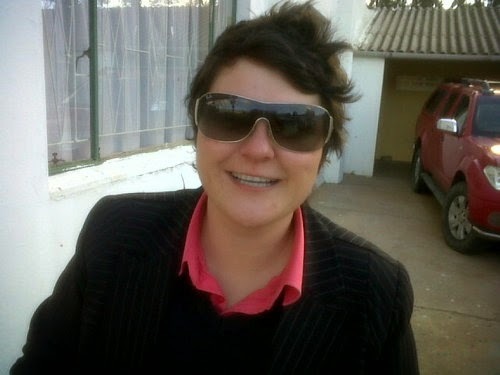 Izele’s Twitter picture captures her spirit so well! When I read that South African winemaker Izele Van Blerk was training to become a professional tennis player before an injury led her back to South Africa to study winemaking, I didn’t get the connection right away. But when I had the opportunity to talk to her, the transition in professions made total sense. And Izele is certainly getting a lot of practice as a winemaker for KWV, one of the five biggest wineries in South Africa. 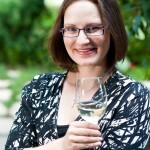 She started with the company as an intern and has moved up quickly to become one of their winemakers. She is responsible for a large range of the company’s biggest sellers and I was thrilled to have the opportunity to taste through her 2013 releases at the iYellow Wine Cave recently. In talking to Izele, you can’t help but be pulled in by her enthusiasm for wine. She is relatively young for a winemaker, but she is already an award-winner. “At KWV all our winemakers are on average 27 to 32, so we’re young, we’re new, we’re excited about the wines and the new styles and the new trends. I think if you get started at a young age, you’re still energetic and competitive and you strive to be the best and your passion is coming through in the wines,” she says. She also values tasting wines from around the world. In South Africa, she explains most of the wines available are made in the county, but her travels with KWV and work as a judge have allowed her to taste more international wines. KWV also does a Friday event where each winemaker gets the opportunity to present a tasting of an international wine. This has helped give her a better understanding of winemaking techniques around the world. But there is also a desire to create wines that are unique to South Africa. One of the most interesting is Café Culture, which blends South Africa’s signature wine, Pinotage, with coffee and mocha flavours. “You can drink it in the morning, because it’s coffee,” she says with a smile. “If you really like wine and you really like coffee, it’s a good combination.” KWV even has a special glass for Café Culture because they wanted to show this was definitely a non-traditional wine. Having tried it at the tasting, I can concur that it is very different – it smells delicious, as they have captured the coffee and chocolate notes perfectly on the nose, but it wasn’t really to my tastes. Others at the tasting, however, really liked it so, as with all wine, it’s a personal preference. My favourites from the tasting were The Mentors Chenin Blanc and the KWV Cathedral Cellar Brut Methode Cap Classique – a sparkling wine done in the Champagne-style, but with a much better price-point. The entry-level KWV Contemporary Chenin Blanc, while not as nuanced as The Mentors, was very good for the price. I was shocked to see how quickly time flew during my chat with Izele. Her enthusiasm is infectious and I do think you can taste that in the wine she produces. If the winemaker feels like an old friend only a few minutes into a chat, it seems like she would be the perfect fit to design charming and inviting wines. I look forward to seeing her style develop over the years. Izele sounds lovely! And I'm definitely intrigued by their approach to winemaking. Perhaps because I'm only a little outside of their average ages? I love seeing experimentation like that.